Yesterday the EUR/USD currency pair renewed its minimums; a new ascending movement is very weak. We think today the price may renew its minimums once again and reach the level of 1.2820. 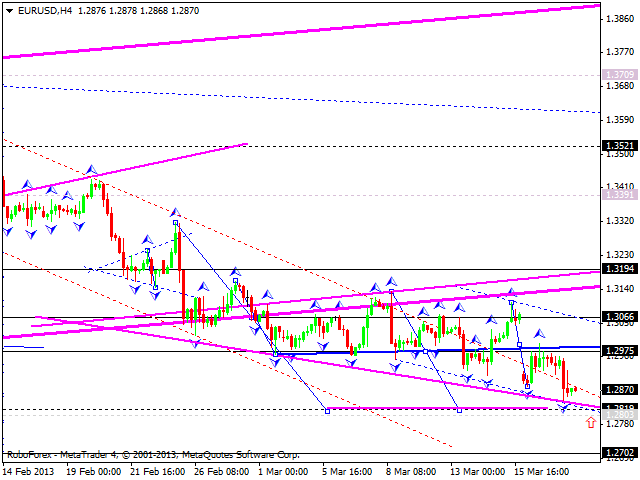 Later, in our opinion, the pair may start a new ascending structure towards the level of 1.3190. 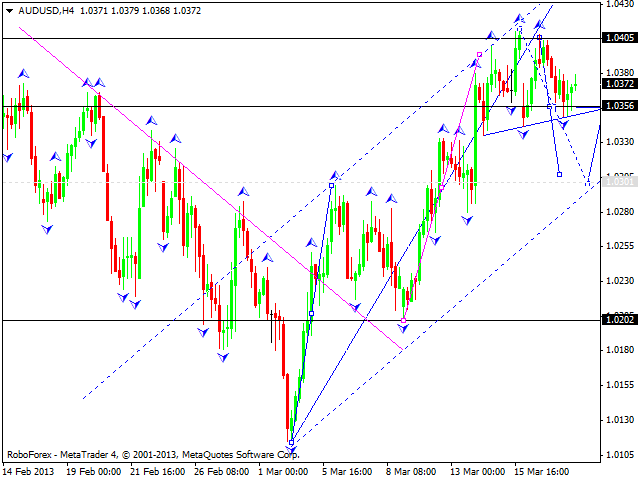 The GBP/USD currency pair is consolidating near the top of the first impulse. We think today the price may leave this consolidation channel downwards and start a correction with the target at 1.4960. Later, in our opinion, form this level the price may another ascending wave to break the top of the first impulse and then continue consolidating. 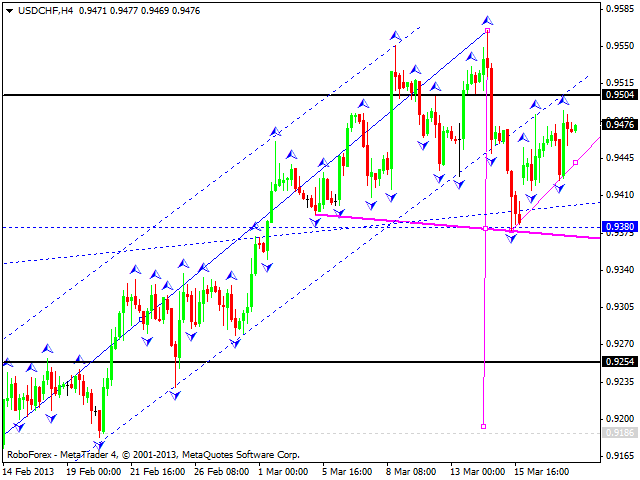 The USD/CHF currency pair formed a correction towards the previous descending wave. We think today the price may continue growing up towards the target at 0.9500 and then start a new descending wave to reach the level of 0.9300. 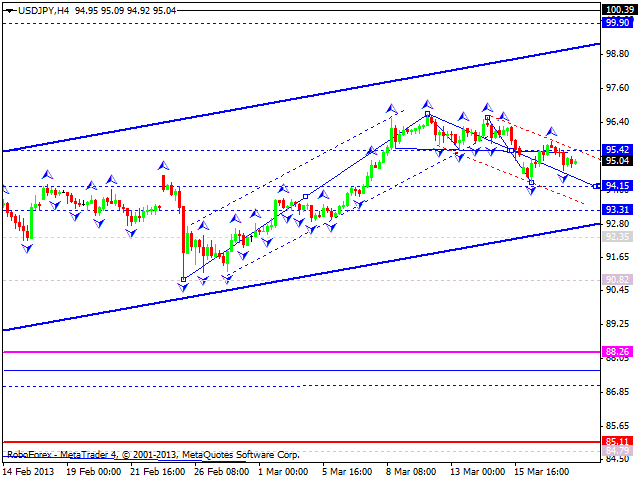 The USD/JPY currency pair continues moving downwards inside the fifth wave of the correction. We think today the price may reach the level of 94.20, start growing up, and then break the channel of this correction. Later, in our opinion, the pair may continue moving upwards to reach the level of 99.90. Australian Dollar continues forming a correctional wave. 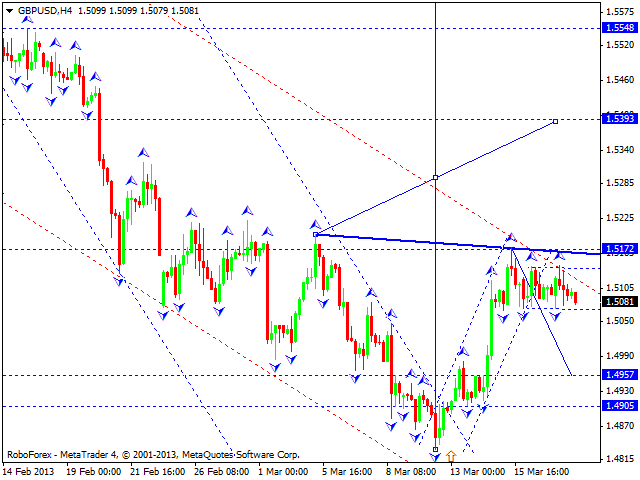 We think today the price may break the level of 1.0360 and then move towards 1.0310. Later, in our opinion, the pair may test the level of 1.0360 from below and then form another descending structure to reach the target at 1.0300. Only after that we expect the price to start a new ascending structure towards the level of 1.0470 and complete this correction. 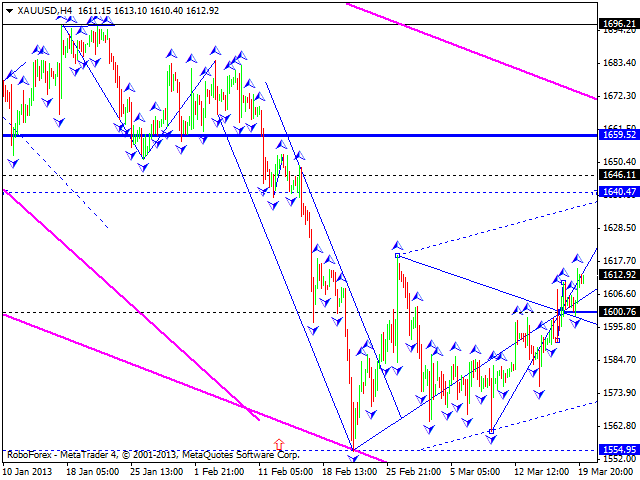 Gold is still forming the third wave inside this correction; a local target is at 1640. We think today the instrument may fall down towards the level of 1590 and move upwards and reach the level of 1650. This may be considered as the end of this ascending trend, as the price may continue falling down towards the level of 1525.